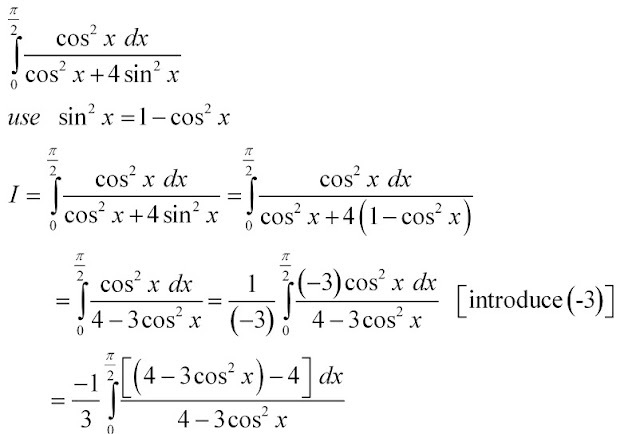 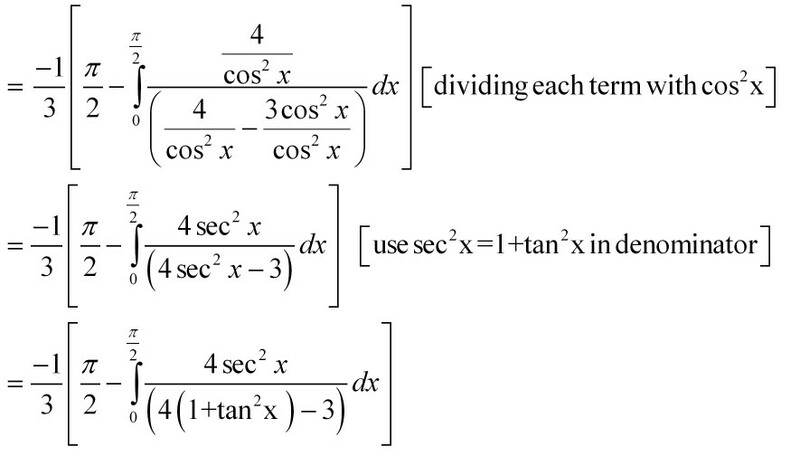 use trigonometric formulae to change (sin x)^2 = 1 - (cos x)^2 so that the intergral is completely in terms of (cos x)^2 . Now try to write the numerator in terms of the denominator. 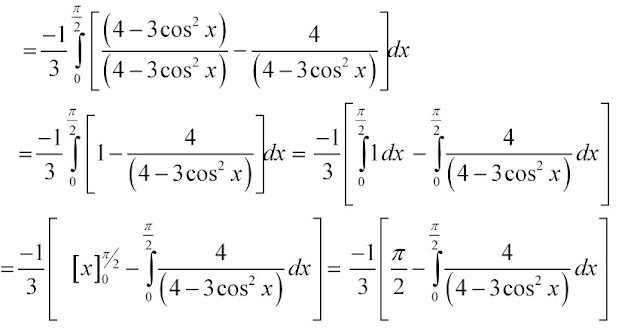 The second integral contains (cos x)^2 . 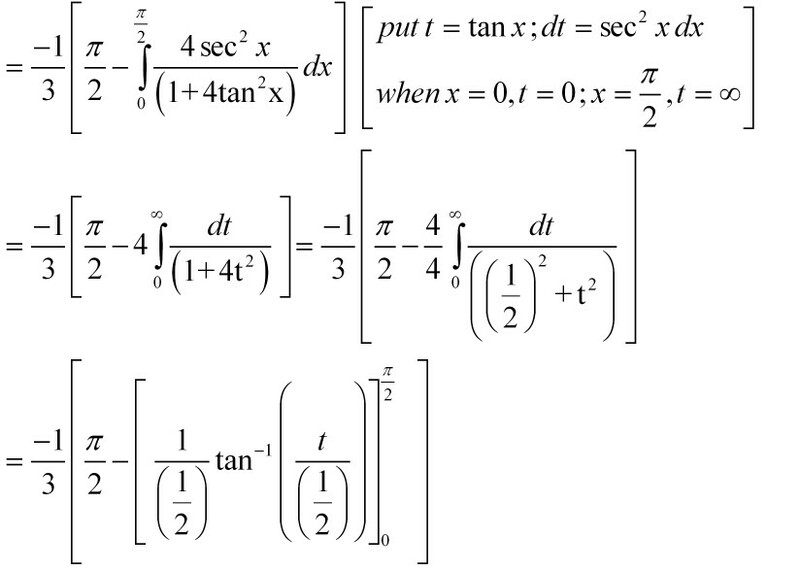 use substitution t = tan x and change the limits.